You are welcome to come to our monthly meetings and see what we are all about. We always need new ideas and input from people of all ages to continue the effort of preserving Poland’s heritage. Business meetings are held the third Tuesday of each month at 6:30 p.m. in the Little Red Schoolhouse, 4515 Center Rd., (Rt. 224 and Struthers Rd. intersection), Poland Township, Ohio. Following the meeting, a planned program usually relating to the history of Poland begins at 7:30 p.m. Our programs are often presented by historical buffs from our community as well as speakers from Mahoning County Historical Society, Struthers Historical Society, William Holmes McGuffy Historical Society, and speakers from our community who wanted to tell us about their involvement with our township in the past. They have a wealth of information. We encourage you to attend the meetings and bring a friend to share stories, check out our displays, meet neighbors, make new friends and enjoy some refreshments. The Poland Historical Highlights (1796 - 1966) - $10, and Poland Historical Highlights (1966 - 2016) - $15 historical writings and photos of Poland, and Early 1900 postcards of Poland - quantity 11 for $10 will be available for sale during the evening. Membership dues for 2017 ($10 per person) can be mailed to the Poland Historical Society, PO Box 5052, Poland, OH 44514 or given to Treasurer Joanne Eiselstein at the meeting. Checks should be made payable to Poland Historical Society. September 19, 2018 - Fund raiser bus trip to Pittsburgh. Visit - Heinz Memorial Chapel, Cathedral of Learning. Lunch at Church Brew Works. tour of the Strip District and Downtown. 2 hour boat tour - Rivers of Steel dock and board the 94-foot Explorer river boat. Call Larry Bartos - 330-757-4223 for more information. Everyone had a great time with the 54 passenger bus sold out. January 29, 2018 - Poland residents were invited to help the Poland Historical Society celebrate President William McKinley's 175th Birthday at 11:00 am at the Poland Village Town Hall. After a brief ceremony, a birthday cake and hot chocolate was served. November 15, 2017 - The Poland Historical Society fundraiser bus trip to Cambridge, Ohio. 1) Downtown Dickens Victorian Village where 186 mannequins dressed for the period at Christmas time. 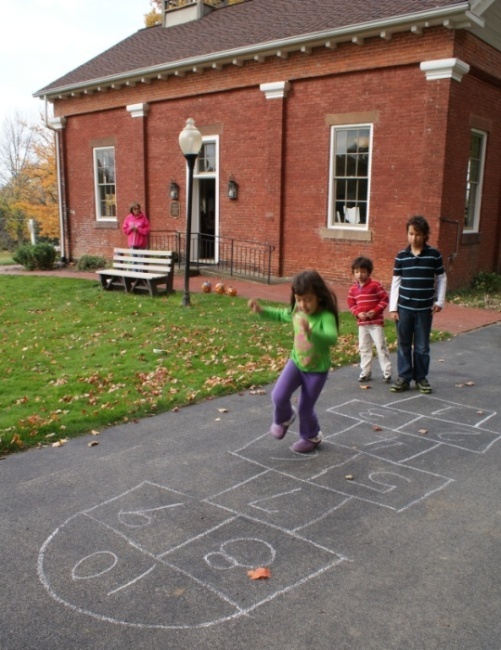 October 9, 2016 - OPEN HOUSE and Fall Fun Fest with pumpkin painting at Little Red Schoolhouse 1 - 3 pm. August 14, 2016 - OPEN HOUSE at Little Red Schoolhouse 1 - 3 pm. July 10, 2016 - OPEN HOUSE at Little Red Schoolhouse 1 - 3 pm. June 25, 2016 - Poland Historical Society Dedication of Poland Village and Town Hall Ohio Historical Marker at 11:00 am. June 12, 2016 - OPEN HOUSE at Little Red Schoolhouse 1 - 3pm. May 14, 2016 - The Poland Historical Society will dedicate the Little Red Schoolhouse / Poland Township Ohio Historical Marker at 11:00 am. The dedication will be held at the Little Red Schoolhouse at Rt 224 and Struthers road. Come and enjoy the program. Christmas Dinner at the Little Red Schoolhouse on December 15th for members and spouse or guest. This will be a potluck dinner with members providing a casserole or salad. The Historical Society will provide Ham, Desserts, Beverage and table setups. The Poland Historical Society will host a Fall Open House at the Little Red Schoolhouse on Sunday, October 11, 2015, 1:00-3:00 p.m. 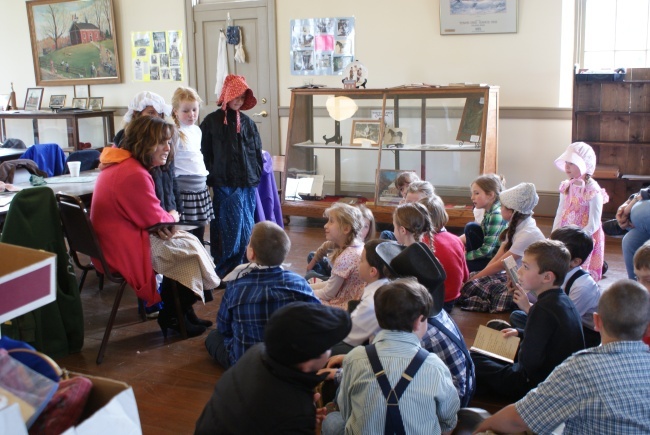 This free activity is open to public and gives visitors an opportunity see the inside of the Schoolhouse and the many historical items on display. Children will be able to paint a pumpkin and enjoy various games and activities. 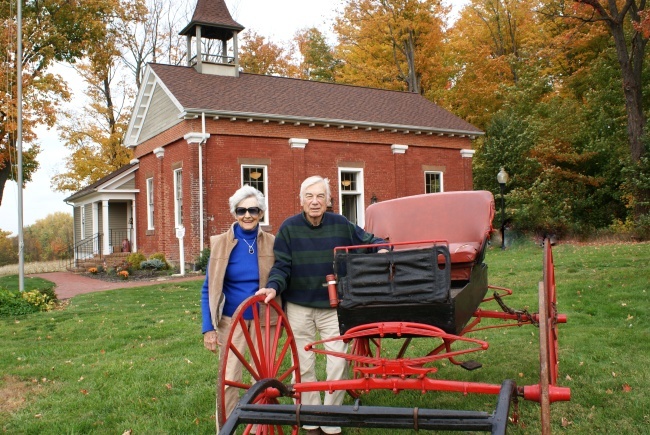 The Poland Historical Society will open the doors for free tours of the Little Red Schoolhouse located at the corner Center Rd. (Rt. 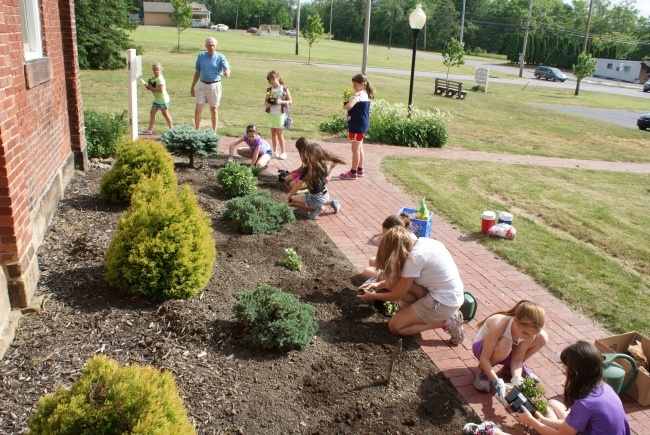 224) and Struthers Rd., in Poland Township on the second Sunday of each month during the summer. 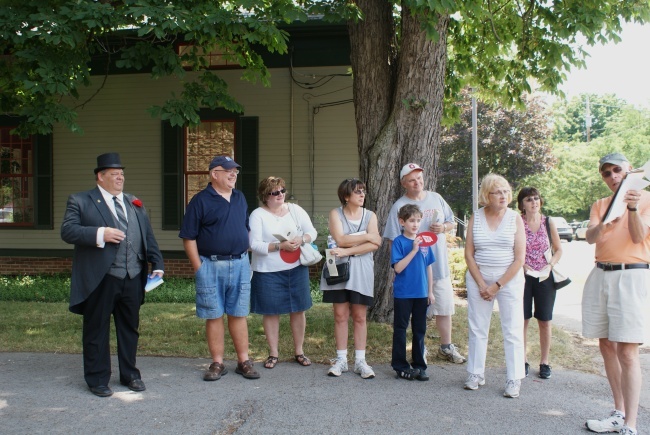 The public is invited to visit the Schoolhouse on June 14, July 12, and August 9 from 1:00 to 3:00 p.m.
As part of “Celebrate Poland”, the Historical Society will provide walking tours of the Village graveyard next to the Poland Presbyterian Church, 2 Poland Manor, on Friday, June 26th at 6:00 p.m. A small bus and walking tour of the Poland Riverside Cemetery to celebrate the 150th anniversary of the cemetery will be offered at 11:00 a.m on Saturday, June 27th. 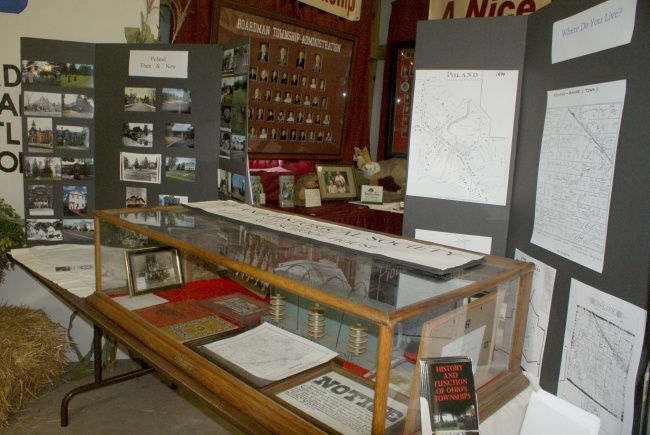 The Historical Society will have a display tent located near the Village Hall on Saturday, June 27th from 9:00 a.m. to 4:00 p.m. This will be a great opportunity to learn some Poland history and view some of the items from the Schoolhouse.